Choosing a pediatric practice to trust with the health and beauty of your child's smile is an important decision. Making a positive first impression at the dentist can influence children's view of dentistry for the rest of their lives, so it's important to make sure your child is comfortable with the doctor and staff. Ideally, your child's dental experience will be something to remember for the rest of his or her life. Make sure it will give your child something to smile about. Selecting a pediatric dentist may seem like a daunting task, so it's a great idea to ask for a recommendation from someone you trust. Whether it's a friend, co-worker, or family member, they'll probably be more than happy to share their child's dental experience. Many of our families have reviewed Dr. Tam, Dr. Cottrell and Dr. Speaker on Facebook, Yelp, and Google. We encourage you to read more about their experiences, or share your own! Once you have a list of a few pediatric dentists, do a little research. Find out about their educational background, where they went to school, and what kinds of continuing education or specialty training they've had. Dr. Tam and Dr. Cottrell are both board-certified pediatric dentists with more than 30 years of combined experience. They have completed an additional two years of post-doctoral training in the recognition and treatment of children's dental services. 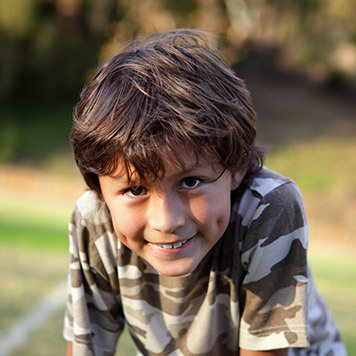 This specialty education includes child psychology, behavior guidance, preventive techniques, restorative dentistry, and the treatment of children with special needs. Dr. Speaker is our resident orthodontist that monitors patients during early treatment, and creates straight, beautiful smiles through their teen years into adulthood. Before you set up an appointment, make sure the candidate is a licensed member of the American Academy of Pediatric Dentistry. This ensures that he or she remains up to date on the newest and most effective clinical procedures. Make sure your child is comfortable. It's very important for your child to feel comfortable with the pediatric dentist. Does the doctor have a pleasant chairside manner? Do you feel like he or she really pays attention to your concerns? Is the staff friendly and helpful? Does the office have a fun atmosphere that your child enjoys? Take all this into consideration when choosing a pediatric dental office. During your initial consultation, don't be afraid to ask questions. After all, that's why you're there! It's important for you to understand every aspect of your child's dental health and the available treatment options. The more informed you are about your child's dental health, the better decisions you will be able to make. Give your child the gift of ideal dental health by visiting a pediatric dentist who truly cares about your child's health and happiness.